A vast majority of the French do not believe their authorities can deal with the threat of terrorism, a recent poll by Ifop found. 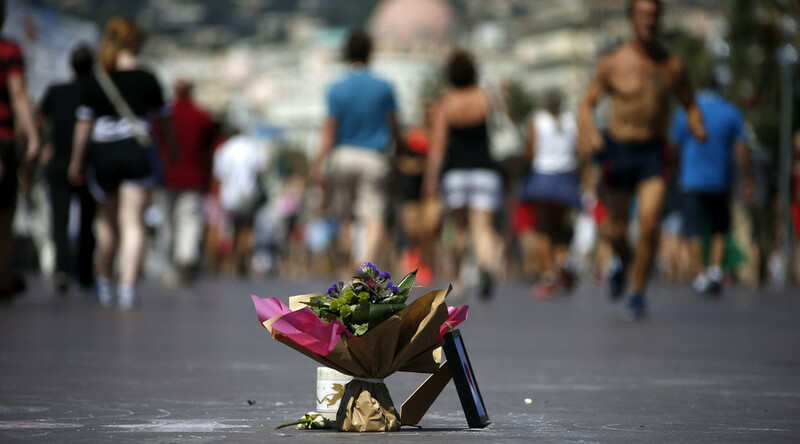 Figures show nearly 70 percent of those surveyed after the tragedy in Nice see the government failing to provide security. According to an Ifop (French Institute for Public Opinion) survey conducted for Le Figaro newspaper, while 99 percent of respondents consider the terrorist threat in the country “high” or “very high,” only some 33 percent have confidence that President Francois Hollande and his government are equipped to face and fight terrorism effectively, while 67 percent do not trust the authorities in this matter at all. Compared to the previous survey conducted by the agency in January 2015, when roughly one in two French residents was satisfied with the authorities, the figures have dropped significantly, by some 17 percent. Meanwhile, one in two French citizens believes “France is at war,” as in the words of Prime Minister Manuel Valls, and 81 percent said they are willing to accept more controls and some limitation on their freedom if it brings about stability and safety. 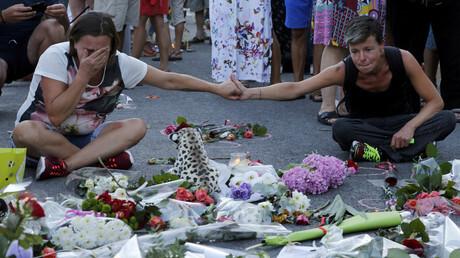 One thousand French citizens over 18 years of age took part in the survey on July 15 and 16, immediately after the terror attack in Nice, where 84 people were killed and up to 200 injured when a truck plowed through a crowd celebrating Bastille Day. On Monday, mourners gathered in Nice to commemorate the victims of the attack with a minute of silence. France’s Premier Minister, Manuel Valls, was also present – and booed by a crowd shouting “Resignation!” “Murderers,” both before and after the ceremony. The tragedy in Nice became the third major terror act to target France in some 18 months. The first was an attack on the satirical Charlie Hebdo magazine in January 2015, followed by the massacre in central Paris in November of the same year. Over 230 lives were lost in these attacks. On Sunday, France’s former president, Nicolas Sarkozy, criticized the current government for failing the French people by not doing enough to prevent the attacks in Nice and Paris. “I know that we must go tear each other apart while the victims haven’t been buried yet. But I have to say that nothing that should have been done over the past 18 months [in the fight against terrorism and anti-radicalization] has been done,” he told French TF1 on Sunday.